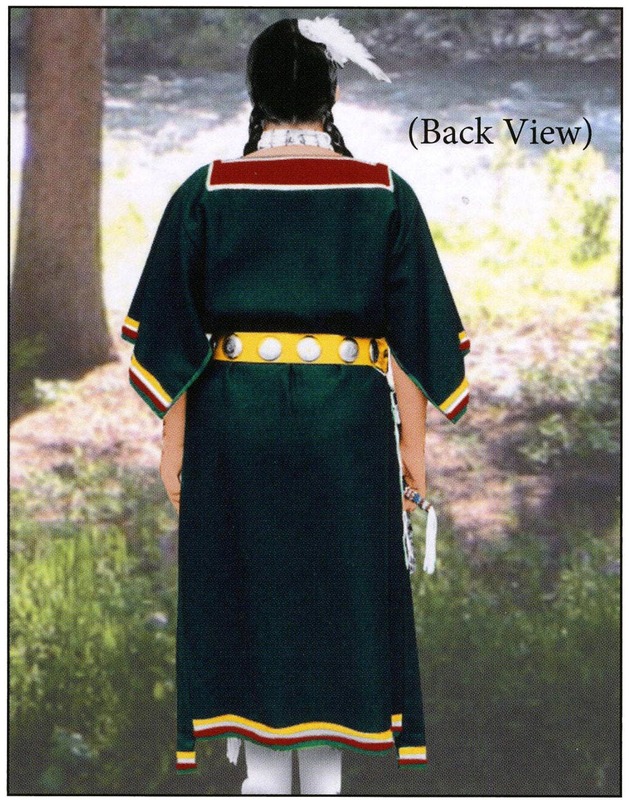 Clothing styles among Plains and Plateau Indian women have remained basically unchanged over the last 100 or so years, with this conservative attitude being further reflected in the rather long, straight cut dress styles as compared to today's modern styles. 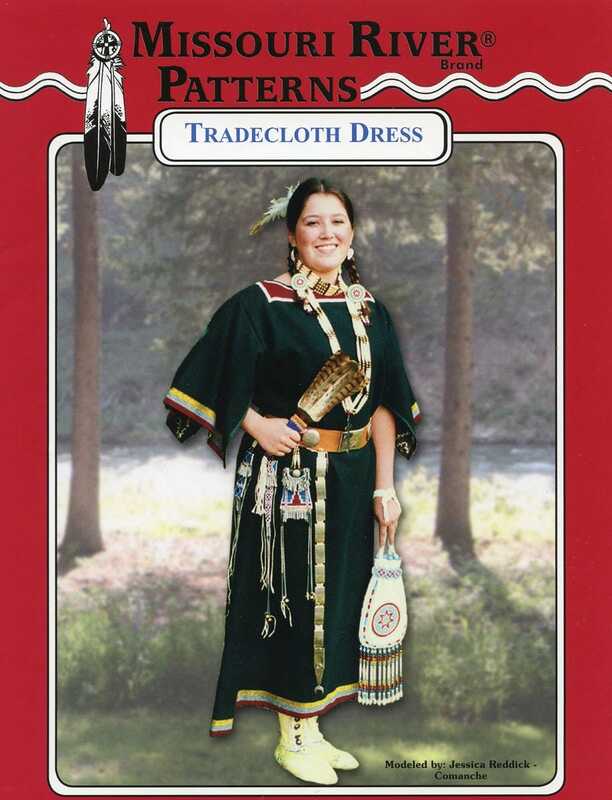 This pattern presents a very traditional style tradecloth dress that was popular among most of the Plains tribes from Texas to Canada. 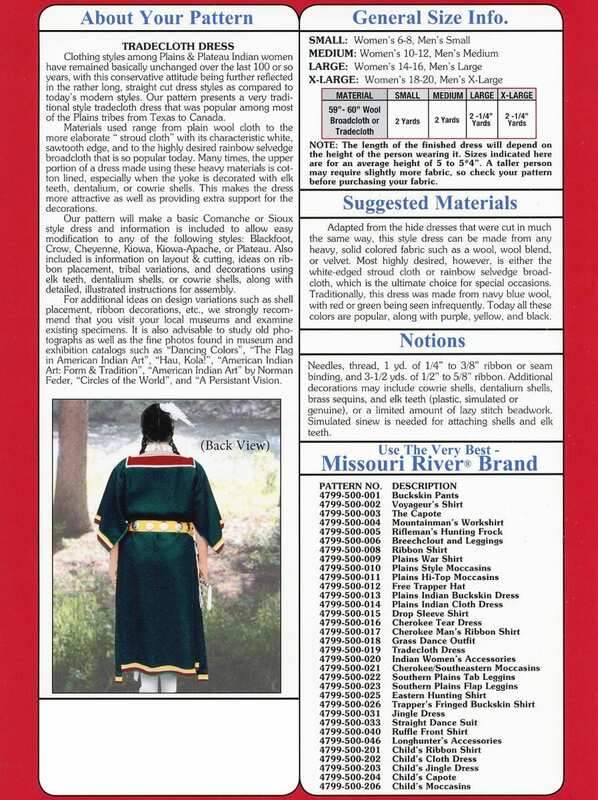 This pattern will make a basic Comanche or Sioux style dress and information is included to allow easy modification to any of the following styles: Blackfoot, Crow, Cheyenne, Kiowa, Kiowa-Apache, or Plateau. Also included is information on layout and cutting, ideas on ribbon placement, tribal variations, and decorations using elk teeth, dentalium shells, or cowrie shells, along with detailed, illustrated instructions for assembly.